The contrastive red hangings that square measure hooked up at the bottom of the center tier designed like a sublime flower complement the general beauty and style of this jewelry piece. 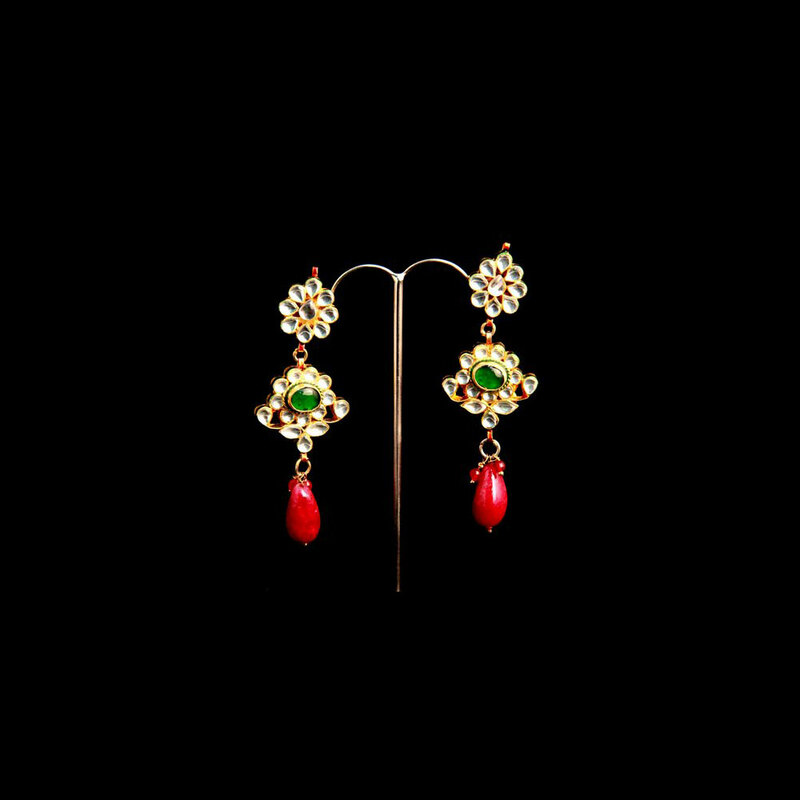 The three tiered pair of earrings sets a fashion statement of its own with its magnificent design and dazzling stone work. 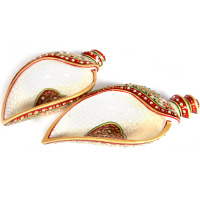 The contrasting red hangings Read More..that are attached at the base of the middle tier designed like an elegant flower complement the overall beauty and design of this jewellery piece. Show Less..